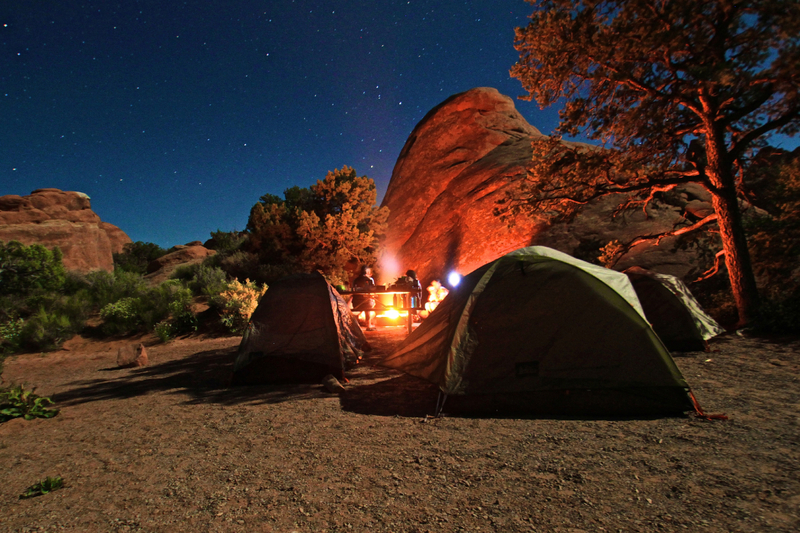 There’s no disputing that summer’s long days are best spent hiking and camping in America’s great outdoors. 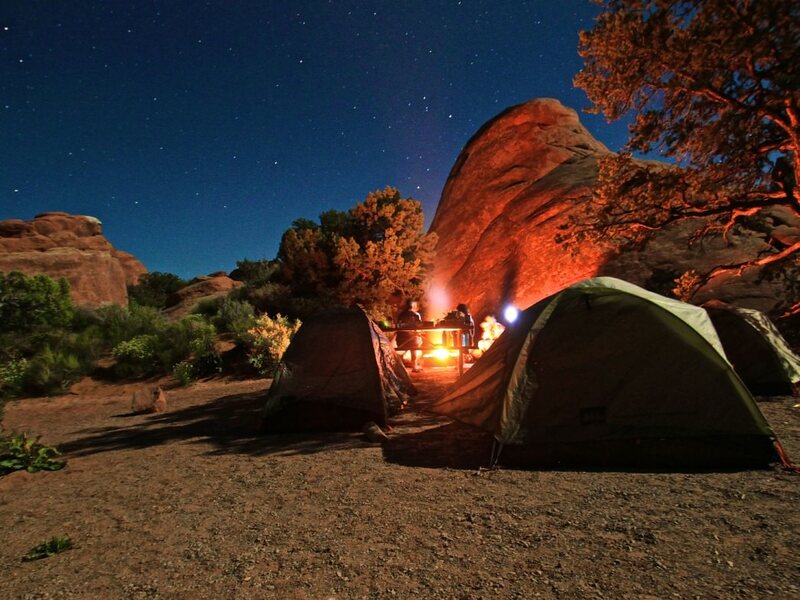 But when the day wanes and the temperatures start to drop, it’s time to build up the campfire and settle in for a long evening of watching fireflies and roasting marshmallows with friends and family. This summer, make this magical time of day something special with these seven inspired recipes. Sweet, slow roasted corn, brought to life with chipotle and lime, is the perfect accompaniment to just about any outdoor meal. This recipe is also great for kids to help out with: carefully peeling back the husks, removing the strands of silk, and giving the cob a good rub-down of butter, salt, and spice. If you have time, soak the corn in a bath of water for a half hour to an hour to increase the plumpness of the kernels. Cast iron is a great outdoor cooking tool, as it distributes the concentrated heat of an open fire evenly, giving you an increased level of control. 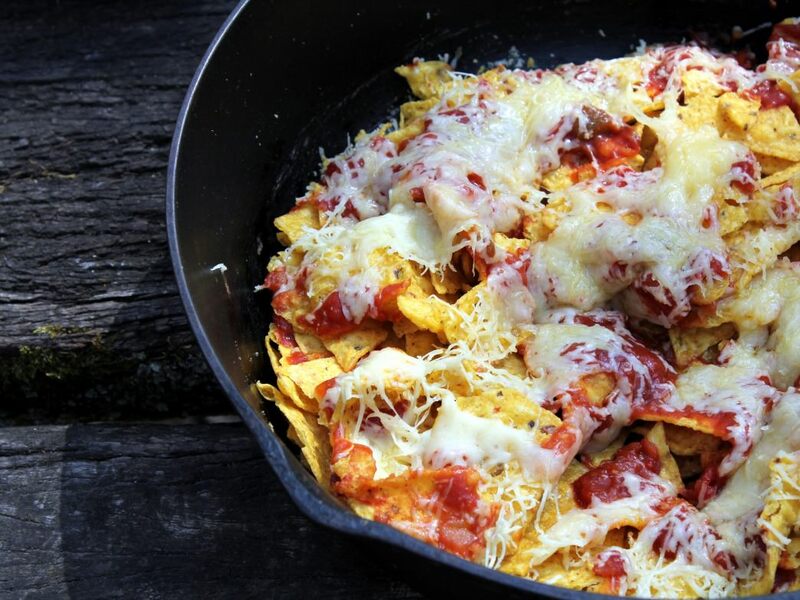 If you've never used cast iron before, nachos are a good way to increase your familiarity, while impressing your friends. Bring the fixings for this fun appetizer on your next camping adventure and get creative by adding your own toppings, such as olives, grilled chicken, or green onions. Sometimes the last thing you want to do at the end of a long day of hiking is prepare an elaborate outdoor feast. 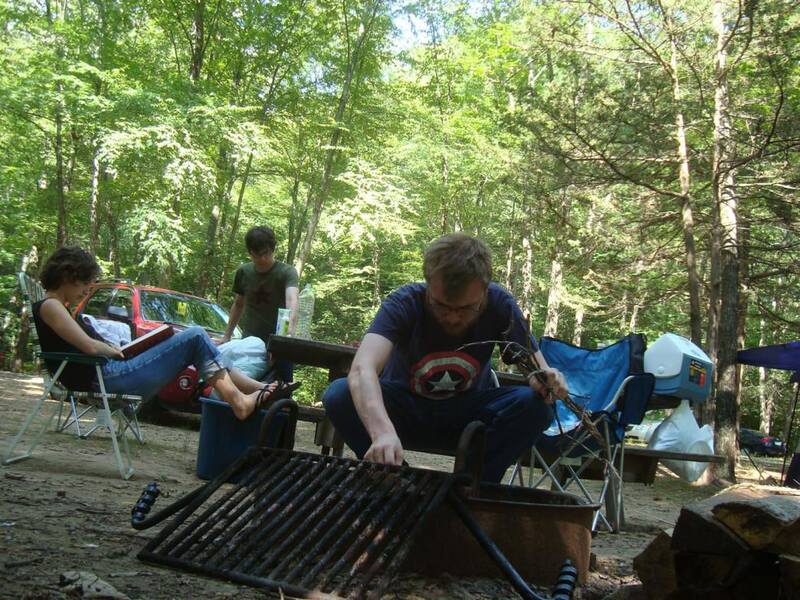 Making food in advance frees up your time to focus on what's important: building a campfire, relaxing with a cold drink, or roasting that third marshmallow. 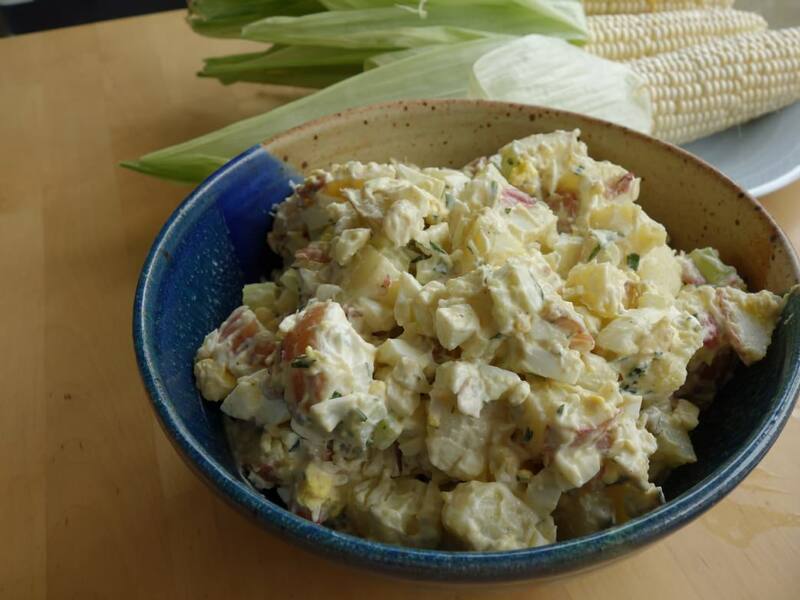 Potato salad is a tasty choice for making ahead as it will not only keep for days, but even improves with time. 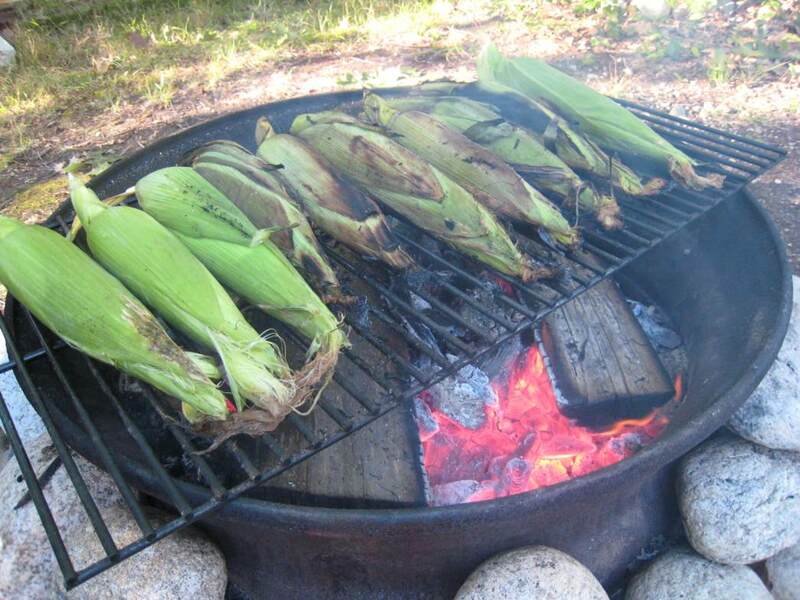 This recipe incorporates the aroma of a campfire with the addition of smoked salt. Store in your icebox at camp until it’s time to eat. If simplicity is your goal for your outdoor menu, don't resort to hot dogs or lukewarm pasta just yet. Fish fillets, such as salmon, pack a ton of flavor and come together quickly over a bed of hot coals with minimal on-site preparation. 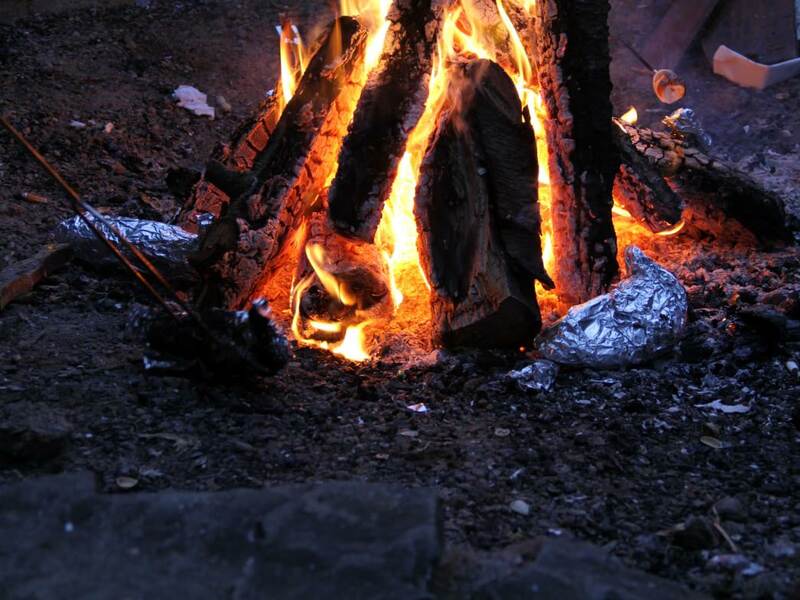 Package them up in tin foil at home for easy transport, and reap the rewards when your fish emerges from the fire moist and flaky. Adding garlic and lemon highlights the natural delicious flavor of the fish, but you can also experiment with other seasonings, such as Cajun spice, fresh oregano, or chives. 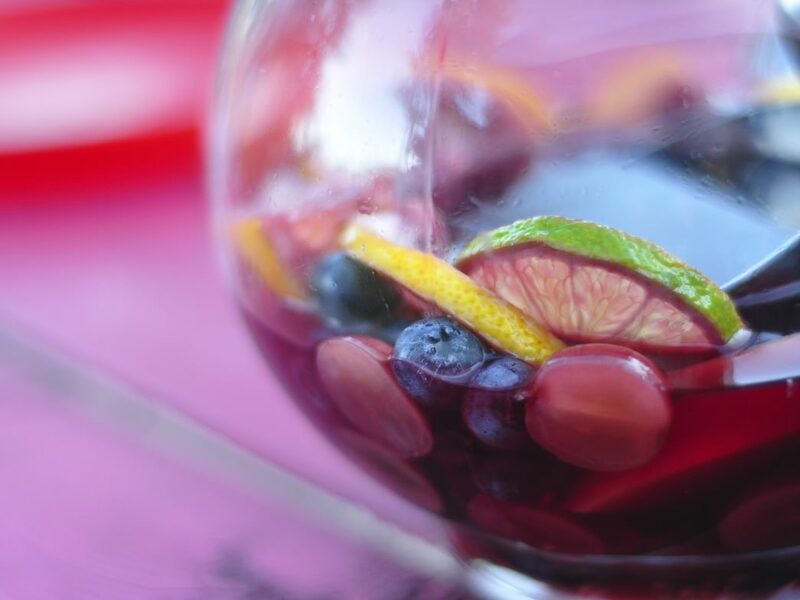 Is there a beverage that's more perfectly suited for the dog days of summer than sangria? Chilled wine and bubbly club soda, spiked with brandy-soaked fruit—no wonder this is the go-to drink of the Mediterranean. And infusing the fruit with the brandy in advance means that you can fit enough for the entire weekend in your cooler without losing out on the sophisticated flavor. Substitute white wine for red to create the perfect mix for any outdoor meal. 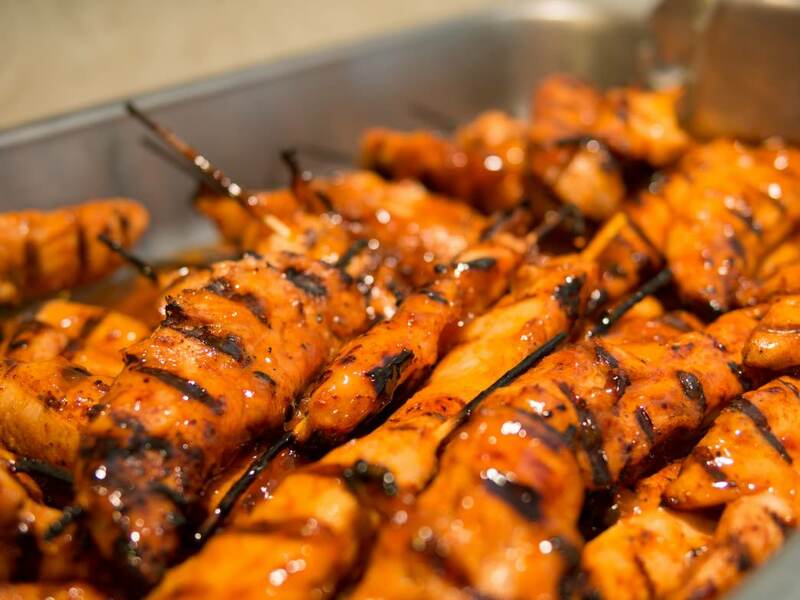 You'll want to save space on your grill for this flavorful take on the classic barbecue skewer. Chicken strips, soaked overnight in a tangy marinade, are perfectly matched with sweet pineapple and the taste of campfire smoke. Remember when you're building your skewers to give the chicken room to breathe, ensuring that it cooks evenly and quickly. Add other vegetables, including bell peppers, onions, or summer squash, for a splash of color. To make this one a complete meal, serve over rice with additional teriyaki sauce and sriracha. Get creative with your desserts by adding a new spin to an old standby. Toasted bananas, chocolate, and marshmallows are great for kids, but when you're ready to upgrade, try adding some peanut butter and honey to create a banana boat fit for a king. And why stop there? Mix in some caramel syrup, dried coconut, or even bacon, and make the banana boat truly unforgettable.